Dacia - Renault car division in Romania, c 1998 included in the Renault group as a subsidiary, located in the outskirts of Pitesti. Dacia - a historical region in Romania and Republic of Moldova during the Roman Empire. The company was founded in 1967 with Renault technical assistance company. According to the original contract was purchased a license to the front-perspective Renault R12, serial production of which has yet was supposed to start in France since 1969. Therefore temporarily for the development of Romanian workers conveyor assembly method in 1968 it was mastered the assembly of licensed motor posterior Renault R8 models under the brand Dacia 1100. Her small-scale production continued until 1971 with a small upgrade in 1970. In 1969, in parallel with the French model Renault R12 (European "Car of the Year 1969/70") introduced a new front-drive sedan Dacia 1300. In 1972, on the basis of this model was mastered the production of the versatile 1300 Break, 1973 - Halftone pickup truck model in 1302. Since 1977, the production of Dacia 1300 has been fully localized. In 1979 he was introduced late model Dacia 1310 with a new light engineering (four round headlights), as well as a prototype of the Sport Coupe in 1310, the same year he made his debut compact SUV and ARO 10 on Dacia 1300 units sold in some export markets as the Dacia Duster. In the late 1970s - early 1980s, small-scale gathering of Dacia of CKD-kits D6 (Renault Estafette) van, sedan and hatchback Renault R18 and R20. These model cars were intended for the party nomenclature. In 1981-1982, there was a family business monophonic pickups 1304-1309. In 1983, there was small-scale Coupe Sport 1410. In the early 80's was shown a promising model microcar Dacia 500 with two-cylinder engine, which is a half of a standard motor Dacia. In the series, this model did not go because of the burst in chausheskovskoy Romania's economic crisis. In 1985, under the symbol Dacia 1410 was mastered more powerful version of the basic model, which took place in 1983, the next restyling. In 1985 there was a 5-door hatchback 1320 after restyling in 1990, received the title in 1325 Liberta and unreleased until 1996. In 1989 restyling were subjected to all models of Dacia (Series CN1). In 1992, the family added a more economical version of the Dacia 1210 where production did not last long. In 1993, the family took another restyling 1310 (Series CN2), another one - in 1995 (CN3), and the last - in 1998 (CN4). Production of passenger versions on R12 platform was discontinued in 2004, collapsed in 2005 commercial release of pickups. In 1994, he mastered the production of Dacia Nova hatchback Peugeot 309. license to the platform in 2000 model has been restyled and became referred to as the SuperNova. 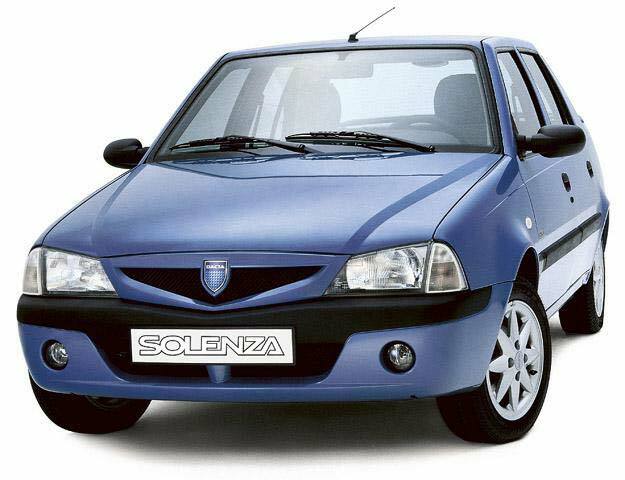 In 2003, with the help of Renault, it has been subjected to thorough modernization and became known Solenza. In 2005, the issue of transition Solenza model has been discontinued. Until 2005, Dacia produced about 2.5 million vehicles. 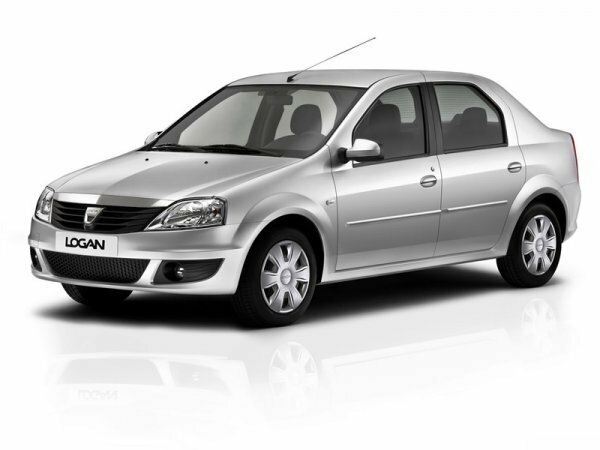 Since 2004, the Dacia Logan sedan has mastered release on the Renault X90 platform worldwide. In 2006, on the same enhanced platform (M90) was mastered wagon Logan MCV, which in 2007 was supplemented by a commercial van Logan VAN, 2008 - pick Logan Pickup. 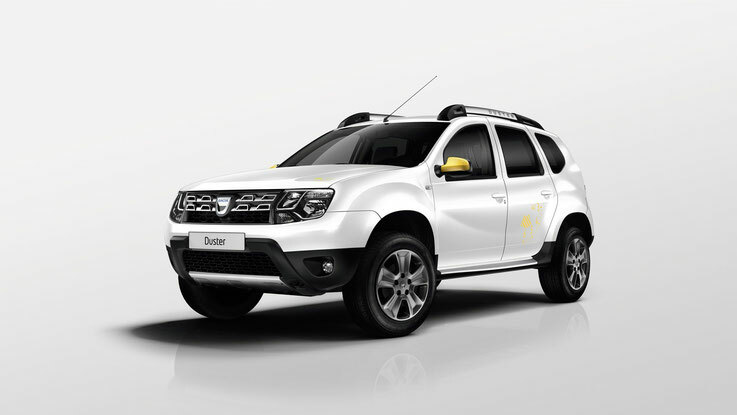 After the transition to the modern range of issue of Dacia cars repeatedly increased.